Fluoride Plus an all-in-one ceramic water filter candle can instantly upgrade most gravity water purifiers to a fluoride reduction system. Removes virtually all impurities including chlorine and up to 97% fluoride, lasts 12 months or 2000 litres. Buying this product = 96 Reward points for Members. Your cart will total 96 points = voucher of $4.80. Not a Member? Join at checkout to claim these points. 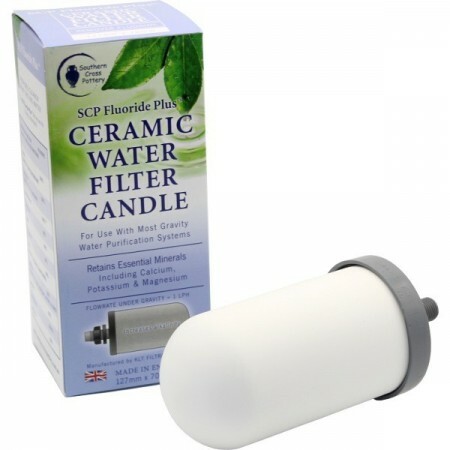 Fluoride Plus is an all in one ceramic carbon based filter candle for use with gravity water purification systems. Fluoride Plus is designed to use in place of a Royal Doulton (12 months) or Australis filter candle (6 months) in your water filter for an instant upgrade to a fluoride reduction system. This filter will remove everything the Royal Doulton candle does plus 97% of fluoride, heavy metals, chloramines, volatile organic compounds, herbicides and many other contaminants. Fluoride Plus will naturally increase alkalinity and does not remove healthful minerals, such as calcium, potassium and magnesium. It filters to 0.5 micron absolute (vs 0.9 micron with the Doulton) making it literally the finest filter on the planet. Flowrate under gravity = 1 LPH. Will last 12 months or 2000 litres, whichever you reach first. Fluoride Plus uses a proprietary matrix comprising of at least two types of activated carbon, combined with crystalline mono and di-calcium phosphate along with chemically active calcium carbonate, structurally bound with polymers. This very unique adsorbent will adsorb and or exchange a variety of organic and inorganic substances; including most heavy metals, chlorine, chloramines and fluoride. bacteria and cysts. The Fluoride Plus filter has been tested in accordance with NSF protocols for cyst, turbidity, particulates, lead, chloramines and chlorine reduction. 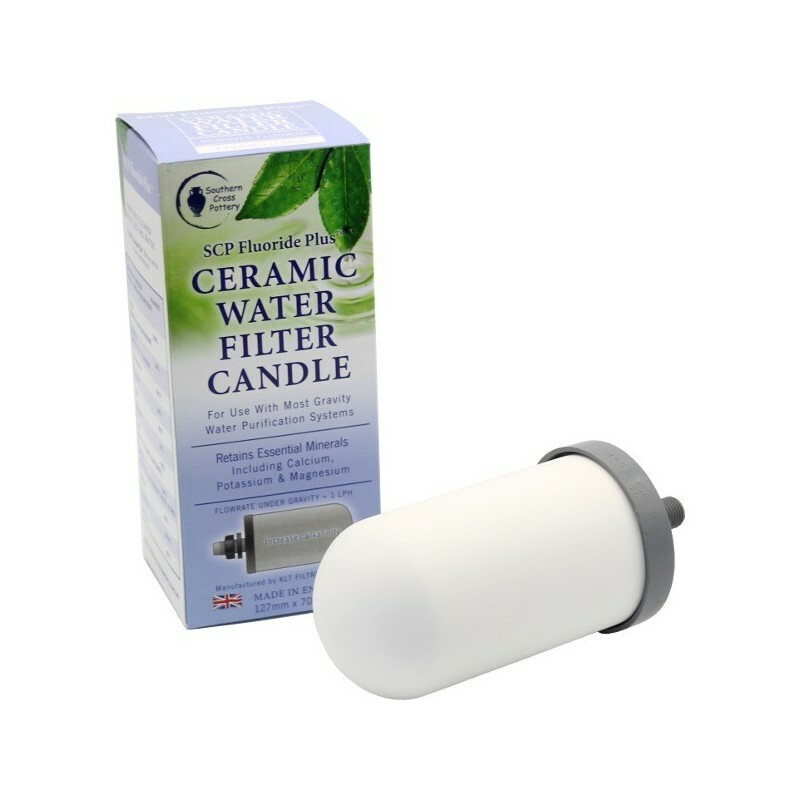 Suitable for use with all our ceramic water purifier range. Used with southern cross water filter. Water tastes great, filter lasts a long time. Drip through can be a bit slow. I love the idea of this filter. no electricity, no harsh filters, just gravity and carbon. However, after using it for over a year I realized it was alkalising the water, and making me sick at that. So glad this is made available to us. It's as good as it gets!